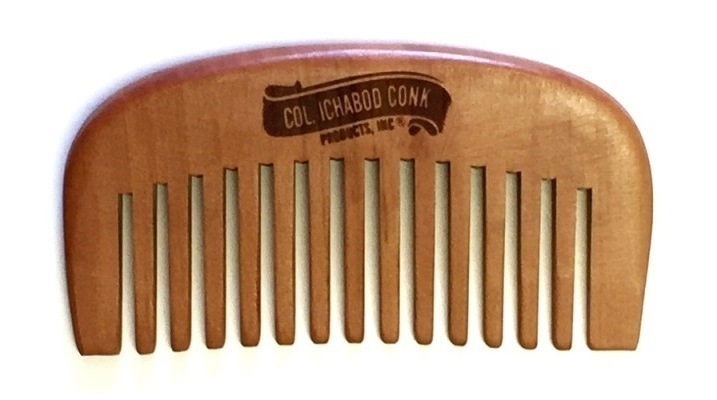 Colonel Conk Products Small Wooden Beard Comb is made from Peach Wood and is antistatic. In China, peach represents longevity and this comb is made to last! Peach is a traditional choice for its smooth surface. Unlike rubber or plastic, there's nothing to grab or snarl hair in its teeth. Anti-static, like all of our combs, Colonel Conk's small wood comb is ideal for easy handling when you want to groom your beard. Measures 3 7/8" x 2", tooth length of 1 1/4".